A friend of mine gave me some sweets named Seagull’s egg. 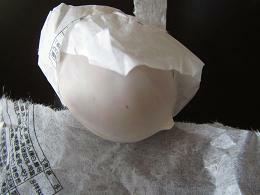 It’s a sweet made in the Tohoku area and seems really like a seagull’s egg. 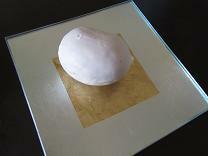 The round cake is coated with sugar cream and stuffed with white sweet beans mixed with egg yolk. Mmm… It reminds me of some sweets that my grandma brought me from a neighbors’ gathering. I enjoyed the taste with old memories of being with my grandma. kindergartens and schools accept children on a short-term basis. 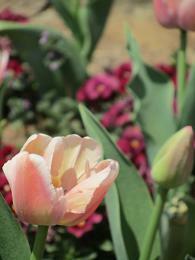 My three-years-old daughter was accepted by a kindergarten in the district where I evacuated. The principal prepared the uniform for her. I really appreciate it. 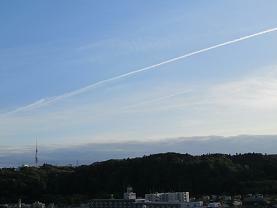 The Shinkansen will be back next week. Youka became four-years-old! We had to travel around to evacuate after the Japan earthquake, so it must have been hard for her. It’s good to see that she looks happy and cheerful now and doesn't show any fear or emotional instability at all. I’m really happy we could have her four-years-old birthday safely this year. 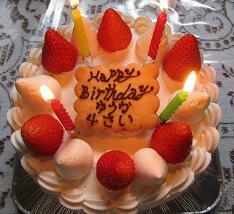 Best wishes on your birthday, Youka. 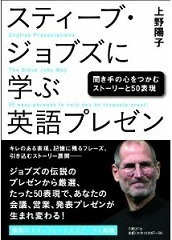 “Smart English for Business” will be released on April 14. 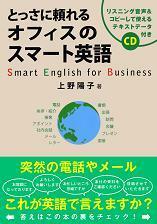 "Smart English for Business" was released! I did my best reading through the galley and listening to the CD while evacuating among four prefectures. 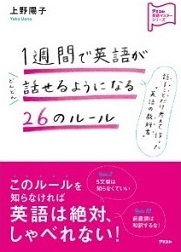 The proofreader, Carol-san, also did her work in Sendai even after the Japan earthquake during the tough situation. 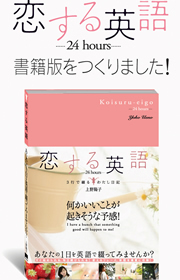 Tsuyuki-san, editor of the book, cared for us and prepared the galley, PDF, and voice data in many different ways, so we could read and listen to the CD anywhere in various formats. The book turned out excellent! 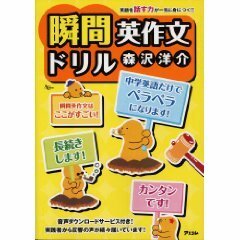 I’m sure it will be useful for people who need and want to use English. 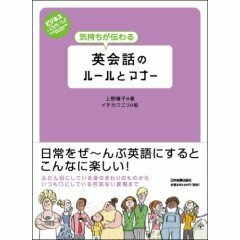 In this book, you can find conversation on the telephone, greetings and small talk, how to write mails, faxes and other documents. 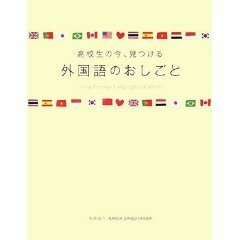 Also I wrote tactics for meetings, presentations, business trips, and cultural matters you should know about when you do business with foreigners in English, which I learned through my experience in business. 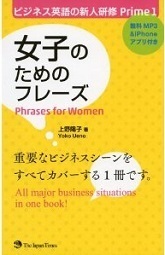 I also introduce “Japanese business phrases” in “English ways”: for example…“Yoroshiku-onegai-simasu”,“Otsukare-sama,” and so on. 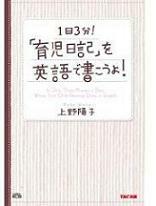 This book has a supplement CD with which you can not only listen to native talents’ narration (their voices are really attractive), but also use mail phrases just by cutting and pasting them. We also used a questionnaire with people using English in their business and learned what they want to know and need as a reference and so on. This is a book good to have not only to study conversation but as an English usage book at your fingertips. I received the following mail from a friend of mine in Sendai. “We are still O.K. 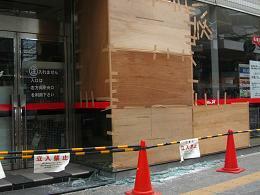 I heard that the aftershock on Thursday night caused more damage to the center of town than the initial earthquake did. I hope your families are alright if they are still in Sendai. This time I think that more people were prepared for a big earthquake, but psychologically it was harder, since things had almost felt 'normal' again. Cleaning up the same things over and over is depressing, isn't it? I'm sure that all this is quite a shock to little children. 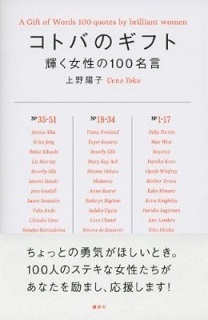 “I was out to the coast of Miyagi a few days last week to volunteer where the tsunami hit the hardest. The people who are still living in the school gyms are getting short on patience. I went to sort and distribute clothes mostly, but also had an opportunity to play (in English) with kids who were living in the schools so that their parents and grandparents could have some time to themselves. As for lifelines, the gas is continuing to be brought back little by little to the suburbs. We are expecting it to be available to us in the next few days.